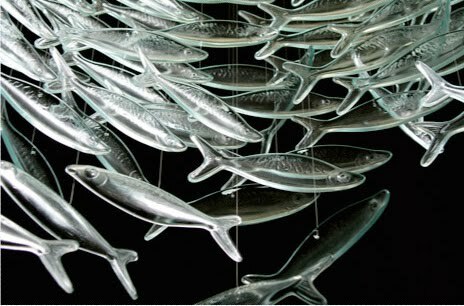 If It's Hip, It's Here (Archives): One Fish, Two Fish, Glass Fish, Gold Fish. 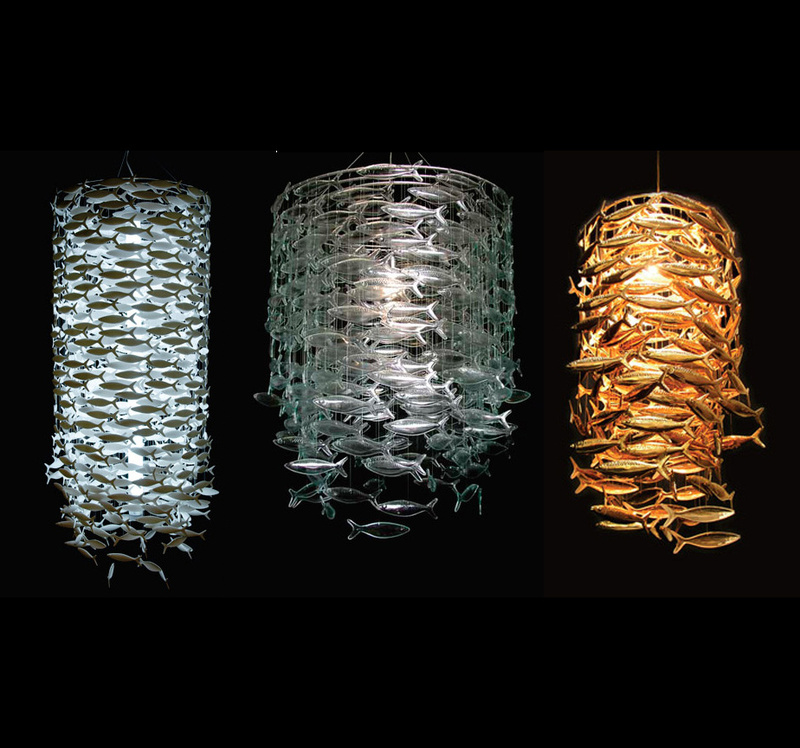 New Shoal Lights From Scabetti. 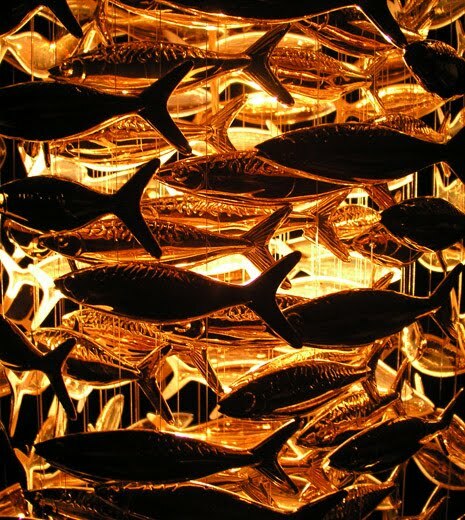 One Fish, Two Fish, Glass Fish, Gold Fish. New Shoal Lights From Scabetti. 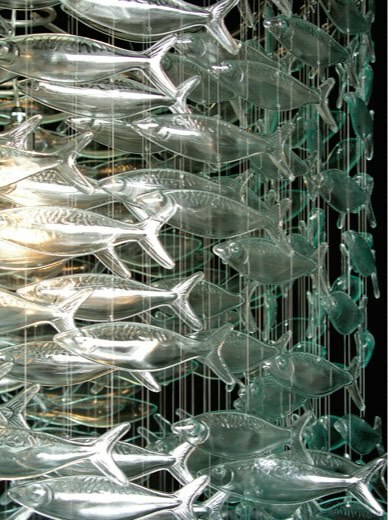 I introduced you to Dominic Bromley and his stunning lamps for Scabetti way back in 2007. 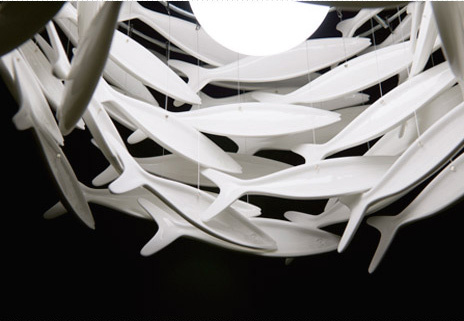 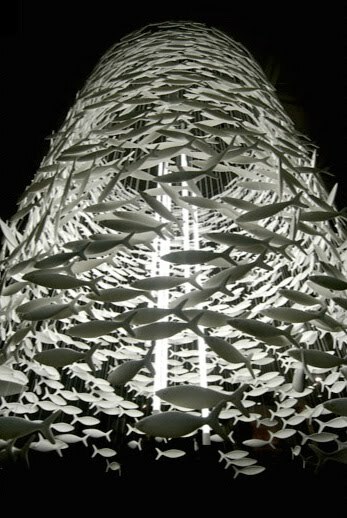 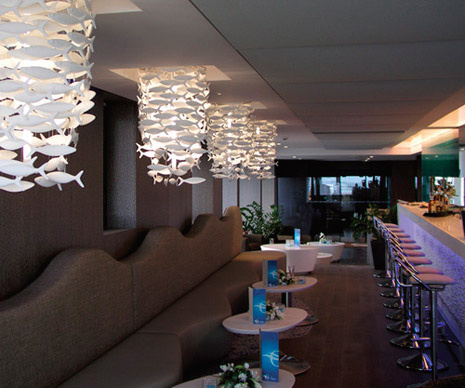 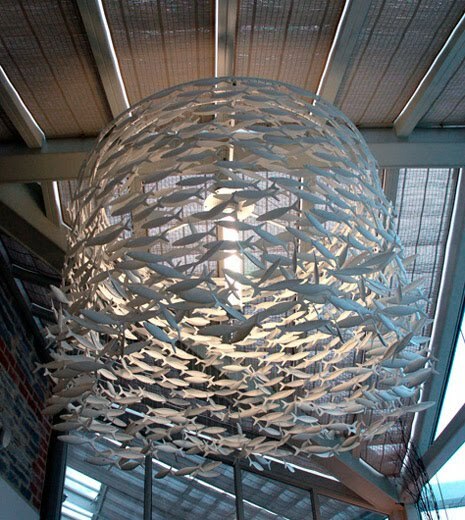 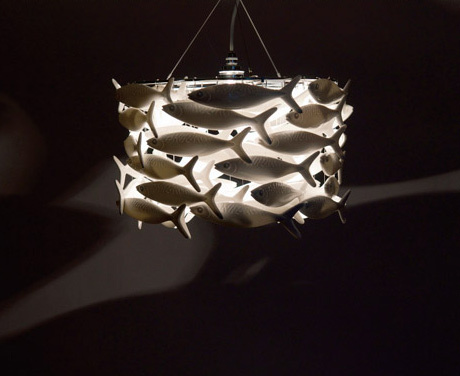 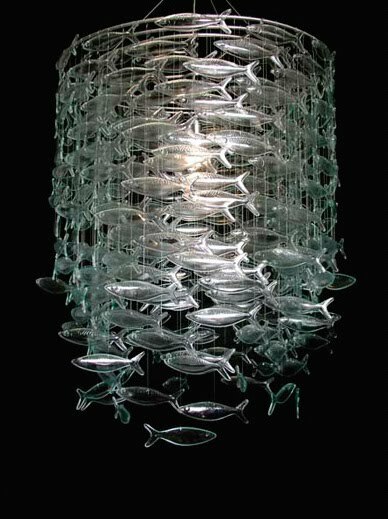 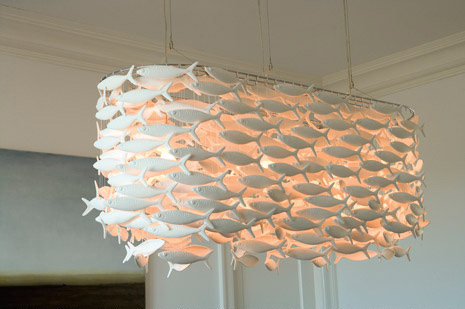 Since then, his beautiful Shoal light made of fine bone china fish that seem to be suspended as swimming in a school (hence the name) has expanded into a line that includes various sizes, custom versions and even special new editions such as glass and gold. 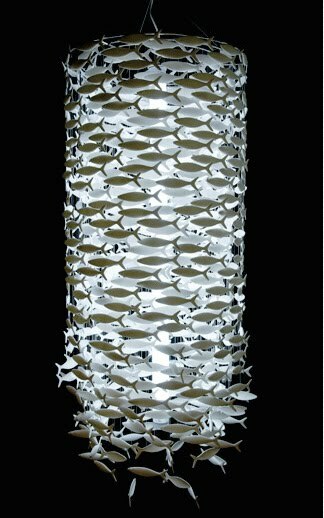 A mass of fine bone china fish carrying delicate sculpted detail, circle a central beam of light, creating a captivating cylindrical form. 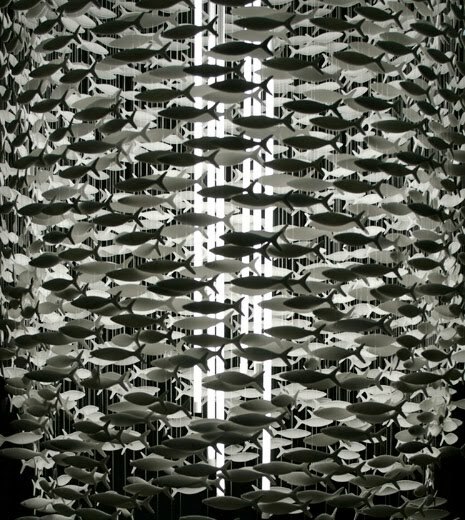 Each fish is lit not only by reflected light from its neighbours but also from within, with the light passing through the delicate translucent china body. 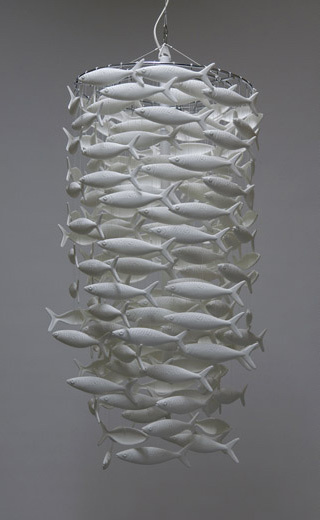 Shoal 64- made with 64 fine bone china fish. 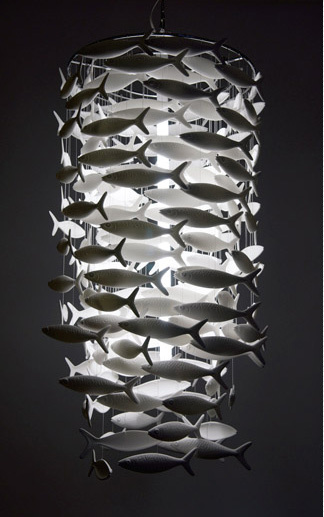 Shoal 186- made with 186 fine bone china fish. 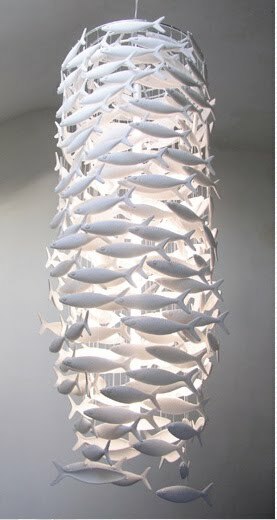 Shoal 284- made with 284 fine bone china fish. 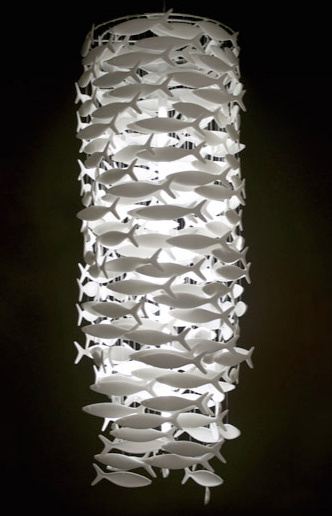 Shoal 1672- made with 1672 fine bone china fish. 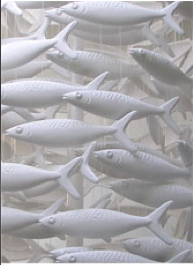 Each Shoal is available in glazed or un-glazed fine bone china as well as in various sizes. 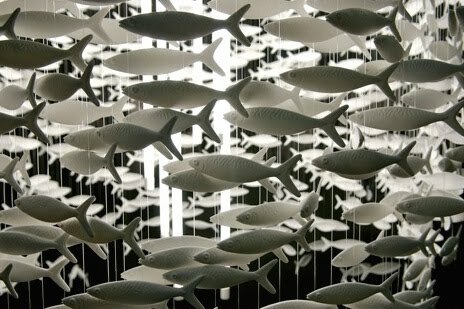 Each fish is 16cm, (6”), long. 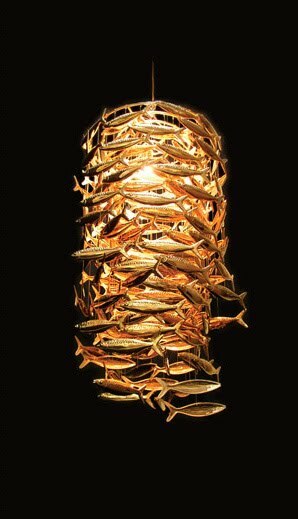 A limited edition (ten) of the iconic Shoal light sculpture, made with one hundred and eighty six fine bone china fish plated in twenty four carat gold. 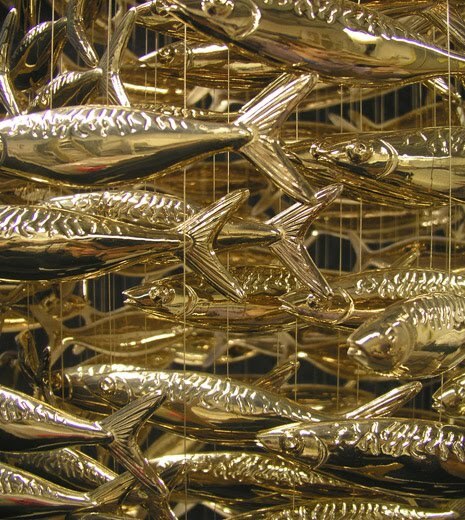 24ct gold coating on 186 fine bone china fish and 24ct gold plated suspension frame and lines.